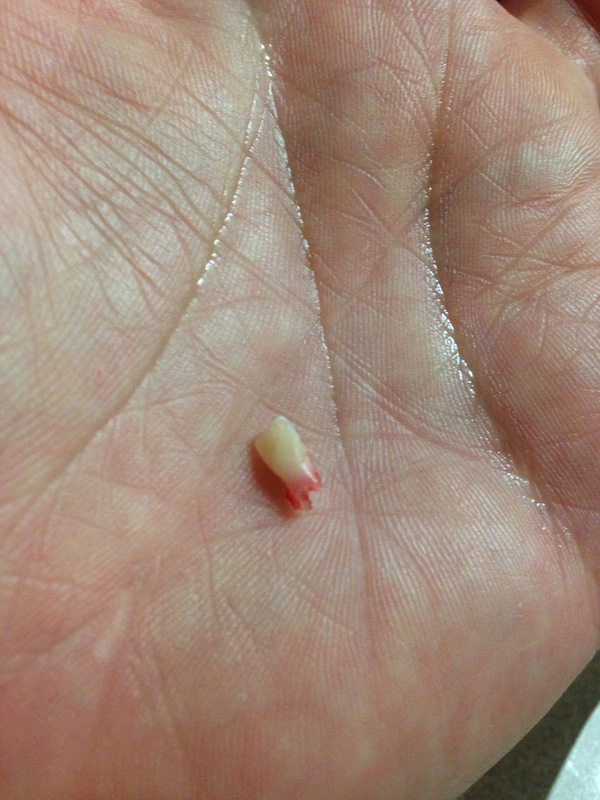 When LL had her dentist appointment back in November, they told us then that she would be losing some teeth soon. They even told us to expect shark teeth on her (where the adult tooth comes in behind the baby tooth and you have two rows of teeth for a brief time). 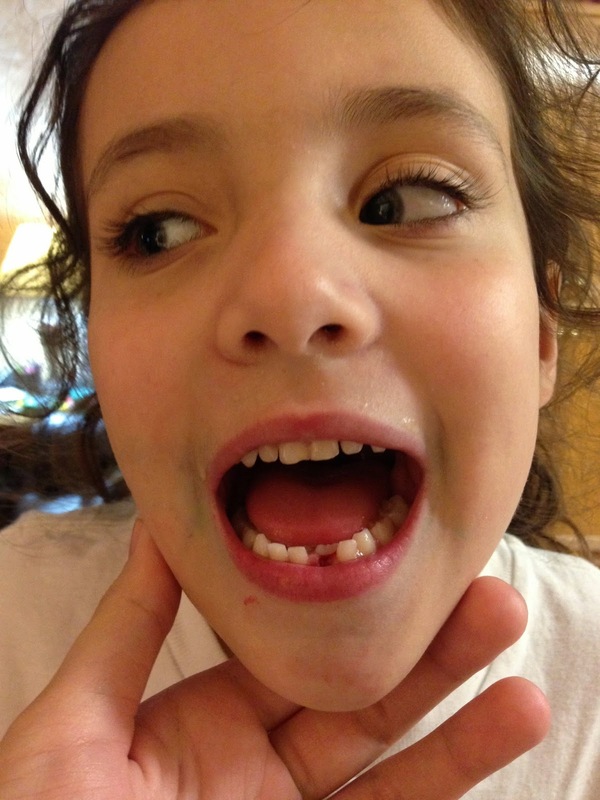 They were right - and about a week after her appointment her adult tooth broke through. Little by little, her baby tooth in front (on the bottom) started to get more and more wiggly. She was not too keen on the idea of us messing with it. We showed her tons of videos on youtube of kids pulling out their teeth, but she still wouldn't let us try anything. It got suuuuper wiggly, and we were all starting to get worried that she would lose it in her sleep and swallow it! The same day that we baked cookies at Grammy's, we had hamburgers for dinner. Well, LL forgot about her wiggly tooth (she had only been biting food with one side of her mouth) and bit down hard into her hamburger - when she did, it pushed her tooth down quite and bit and it started bleeding. When she went to show Matt, he plucked it out really quickly with a napkin! And just like that she lost her first tooth!! 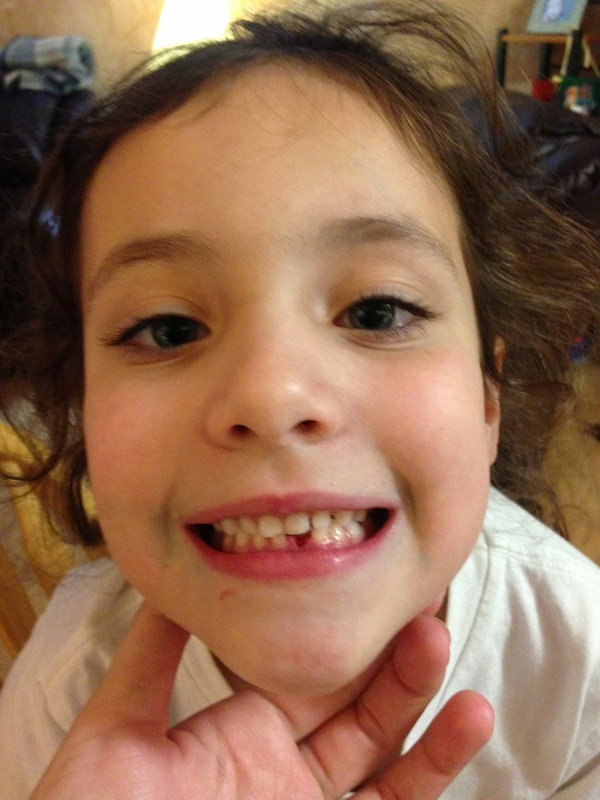 It didn't take long for her adult tooth to move into the right place where her baby tooth was. 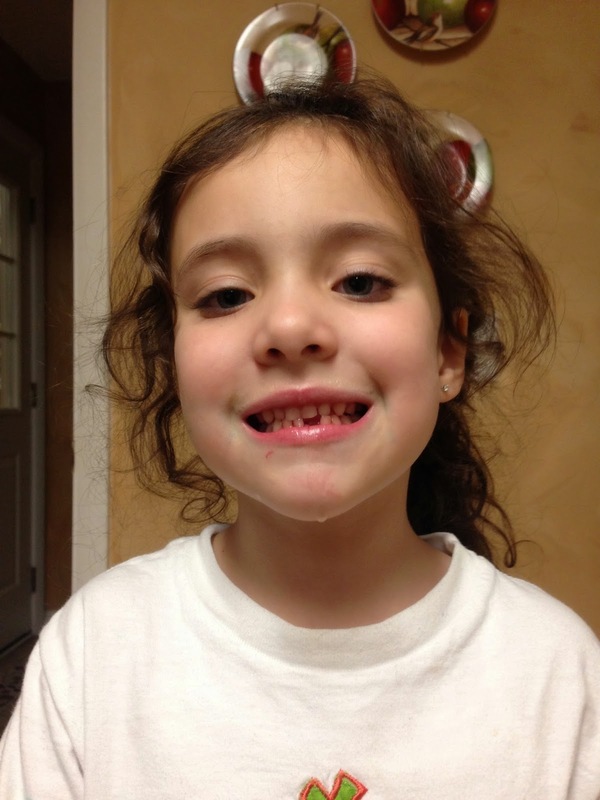 That night, she put her tooth under pillow and the ToothFairy came! She left her $1 and a note - and LL was completely happy and excited! Her second bottom tooth is now very wiggly, and I'm expecting it to come out any day. Her second shark tooth is suuuuuper crooked, so I'm hoping it straightens out and moves into place quickly. How is it that my sweet girl is old enough to be losing teeth? !